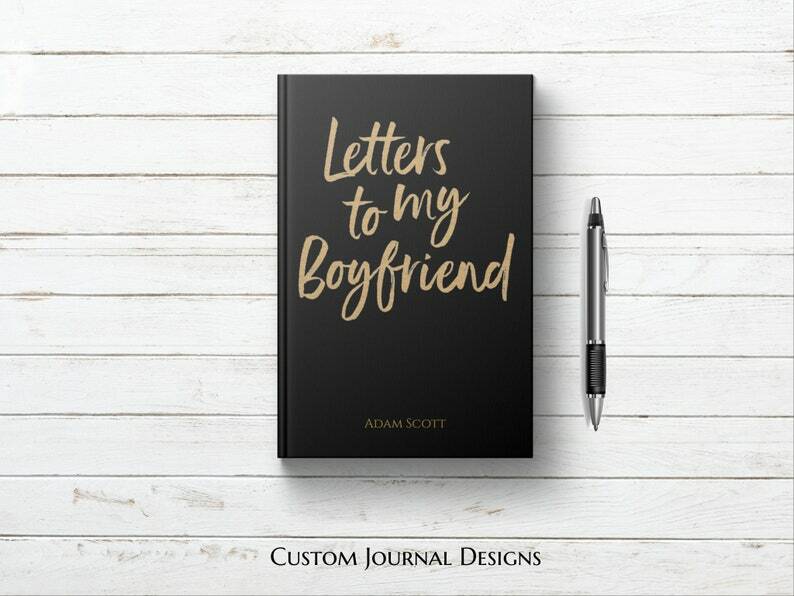 The perfect PERSONALIZED "Letters to my Boyfriend" Blank Journal Notebook! With its elegant and beautiful design, this Blank Journal Notebook with Lined Pages featuring the words, "Letters to my Boyfriend" is a perfect keepsake gift to write letters, thought and ideas for the future to the love of your life. This blank lined notebook with a beautifully designed black and gold cover offers plenty of pages to let your man know how much you appreciate him and how much he means to you. Letters to my Boyfriend Writing Journal is lined to record all your thoughts, dreams and romantic ideas to your boyfriend, future husband or fiance. This Journal book comes with lined pages and can be used to write notes to your boyfriend during your dating years. Perfect gift to give to your sweetheart for as a Christmas gift, Birthday Gift, Valentine's Day gift, or any occasion that is meant to be special. Capture all of the romantic, happy, or funny moments throughout your dating years while they are still clear in your mind. Express your love by writing letters to your boyfriend on a regular basis. Shipped on time and received in timely manner. Really liked the journal! The customization is a nice touch, the quality of the cover was not quite what I anticipated however perhaps because of the shine finish that I hadn’t noticed from the picture.